If you’re looking for the highest level of security, then it may be time to invest in a vehicle barrier. These devices are little lifts that are inserted into the ground. They lift up when the roadway is closed and can be lowered remotely to allow certain vehicles to pass through. For maximum effectiveness, you should invest in a good fence as well. Together, these two security measures can work together to provide an excellent security solution for a private corporation, military building, or any business that requires security clearance. When it comes to keeping vehicles at bay you can use a wedge barrier or some bollards. A wedge barrier is inserted into the ground at about sixteen inches. It lifts to make a ramp-like barrier. Bollards are basically small posts that block a path. These can be static or they can be operated on a hydraulic system so that you can raise and lower them as you may require. Static bollards can also be used to reinforce a crash barrier. All of the products at Hercules is crash rated so that you can begin a project completely informed on which security option is right for you. 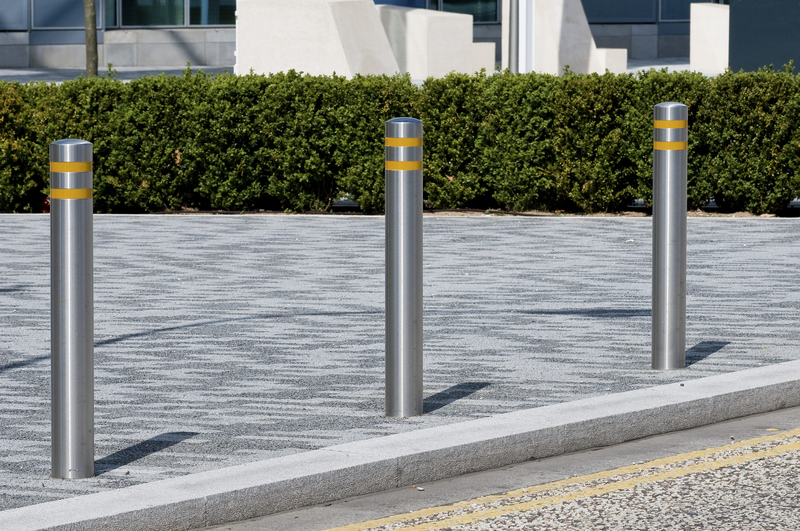 There are many different kinds of bollards you can get for a different visual story. The same is true of wedge barriers. You can order them with the necessary look, or you can decorate them later depending on what you wanted. Bollards in particular have a lot of options from yellow ones with stripes to fancy chrome ones. Some wedge barriers can come with a command on them such as “Stop” or “Slow”. Before you plan on ordering one of these vehicle barriers you should definitely consider what you may need them to look like. Vehicle barriers that come in brighter colors may be more noticeable, and therefore better at deterring cars from coming through without clearance. If you think you’re ready for a vehicle barrier then give us a call at 703-551-2609. We at Hercules Fence will talk you through your options and we can help you get started. You can also contact us on our website or social media pages. This entry was posted on Thursday, March 12th, 2015 at 8:12 pm. Both comments and pings are currently closed.